May holidays are well known as being the start of the main camping season in France. Although many campsites open in April the majority open during May because the weather starts to pick up. Holidays and breaks in May are extremely popular with all types of campers. Groups, families, couples and individuals all love to head off to France during May. Couples and families with young children usually steer clear of the half term because campsites are both quieter and cheaper. In contrast families with school-aged children have no option but to travel during May half term. May in our opinion is the perfect time to get away for a holiday or break. It lies right between the Christmas holiday and summer holidays hence a May holiday breaks the year up perfectly. Holidays in May are popular as they allow you to enjoy some welcome early sunshine. 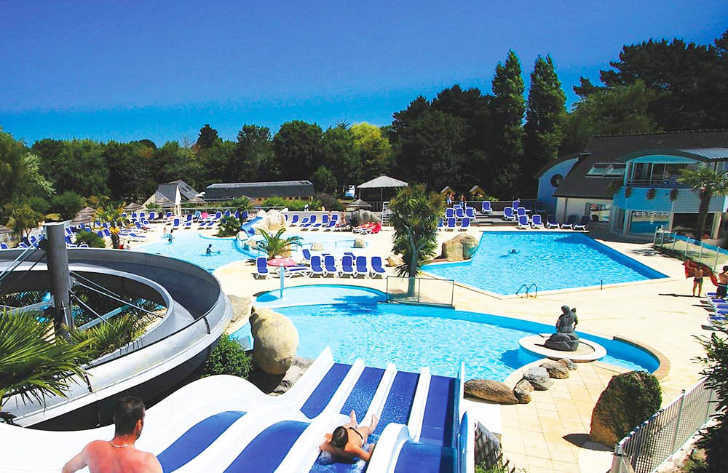 Both northern and southern France benefit from warmer weather in May and if it isn’t warm, you can always enjoy the fantastic indoor swimming pool complexes. Holiday companies we feature boast a range of May holiday offers which won’t break the bank. Search and book a May holiday online in confidence with GoCampFrance. Eurocamp holidays have a variety of campsites available on their May Holiday promotion. Deposits start at just £99 and many holidays are less than £400 per week, per family. Find out more about their offer by clicking the button below. Al Fresco Holidays have a similar offer available. Deposits start from just £99 and there are holidays available across France with up to 50% off. Find out more about their offer by clicking the button below. Brittany Ferries are offering 20% off 2019 holidays in May with a small deposit of £50 per person. Find out more about Brittany Ferries or click the button below to go straight to the offer. If you want a May Holiday to France in 2019 please click the buttons above to find out more!